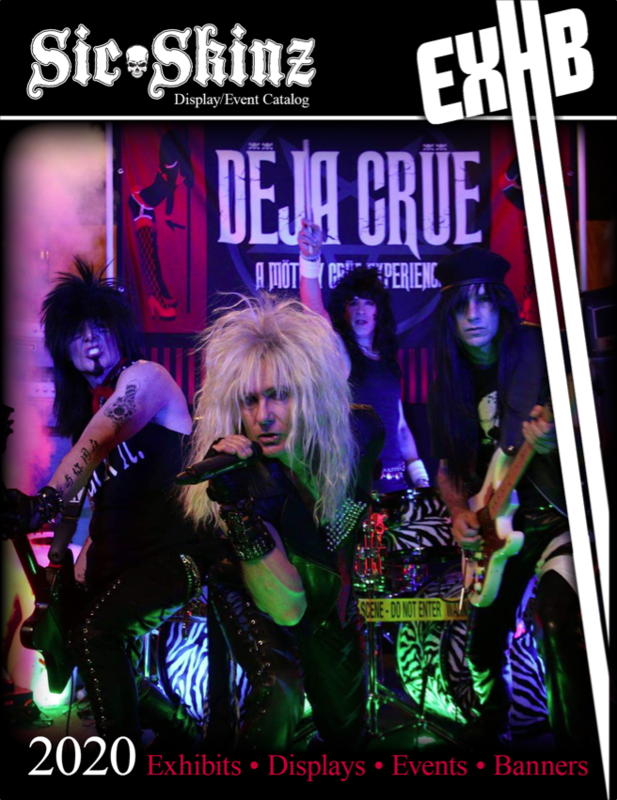 FOR A FULL-COLOR CATALOG OF ALL THE DISPLAY OPTIONS WE CARRY, CLICK HERE! Available in multiple sizes and styles. Check out our full-line catalog below for other options. Assembled unit: Max 35.4"w x 86"h x 8.6"d approx. 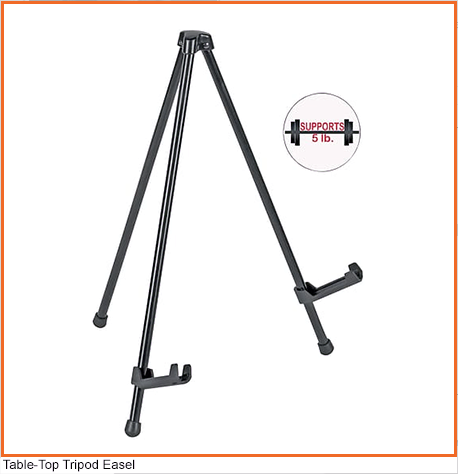 Comes complete with base, premium toprail, hybrid bungee/telescopic pole and carry bag with protective foam padding. Toolless quick rail combines the ease of the snap rail with the reassurance of an adhesive fixing. Weighted base for stability, adjustable leveling feet, chrome end caps. Variable height 60" - 83.25". 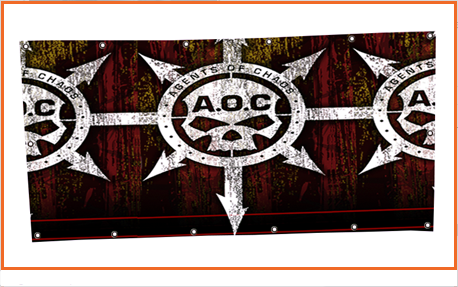 Graphic size: 33.5"w x 60" up to 83.25"h. Lifetime limited hardware warranty against manufacturer defects. 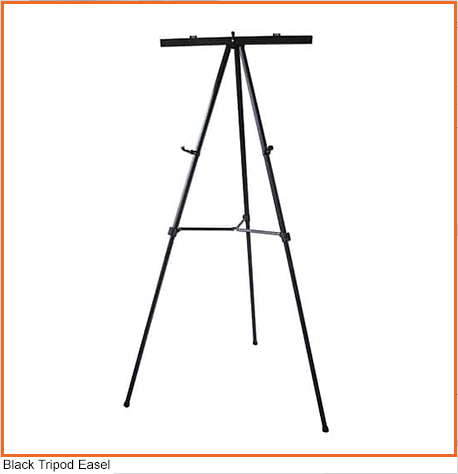 Great for taller side scrims or to lower to half-height to cover your amp. Available with fabric or vinyl graphic area. Available in multiple sizes and styles. 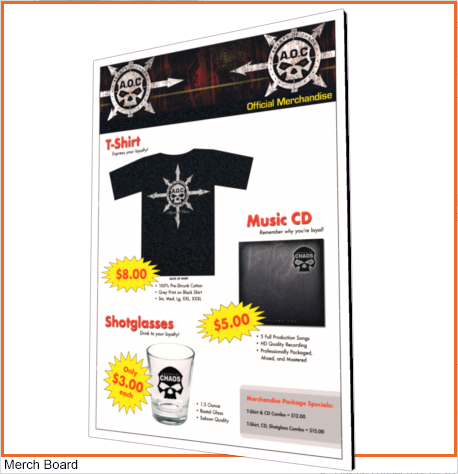 Check out our full-line catalog below for other options. Assembled Unit: Max 102.36"w x 100.2"h x 25.6"d, New and improved Pegasus design, Single or double sided graphics, Telescopic poles for adjustable graphic width and height, Linking connectors are sold separately and allow you attach multiple Pegasus units together, Carry bag included, One year limited hardware warranty against manufacturer defects, Great for wider side scrim uses or to lower to half-height to cover your half-stack, Available with fabric or vinyl graphic area. Available in multiple sizes and styles. Check out our full-line catalog below for other options. Assembled Unit: Max 125.43"w x 123.66"h x 25.6"d, New and improved Pegasus design, Single or double sided graphics, Telescopic poles for adjustable graphic width and height, Linking connectors are sold separately and allow you attach multiple Pegasus units together, Carry bag included, One year limited hardware warranty against manufacturer defects, Great for backdrop imagery behind the drummer or larger stages that require more side coverage, Available with fabric or vinyl graphic area. Indoor vinyl and fabric banners are ideal for promoting events, advertising or branding in any indoor environment. 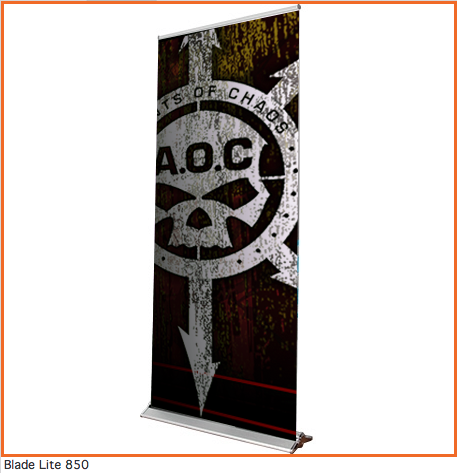 Banners are available in custom sizes ranging from minimum 2' wide/high to maximum 10' wide/high. Choose from several finishing options, including corner grommets, grommets and rope, simply hemmed and 3" pole pockets on the top and bottom corners. Durable and lightweight, the single-sided 13 oz. vinyl banner is a perfect choice for displays in high-traffic environments. Display Poly and Oxford fabric hanging banners are quality choices for indoor advertisements. For larger sizes, contact us for a quote! Pole pocket banners, available in 8'w x 8'h and 10'w x 10'h options are ideal for branding, advertising and messaging opportunities at tradeshows. 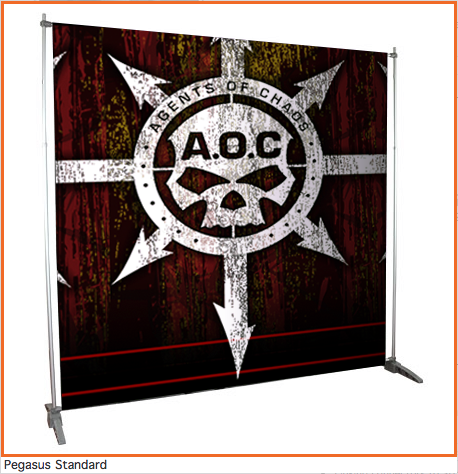 Any of the above material choices can be finished with 3" pole pockets on the top and bottom, allowing for mounting to pipe and drape or to telescopic banner displays. We suggest you have one or more of these present at your merch booth(s) at each show. Adobe Illustrator or Photoshop based artwork at 100% scale, 150dpi, 1/2" Bleed, in .EPS, .AI, or .PSD formats will be accepted. Absolutely NO Microsoft Word or Office generated documents accepted as a viable form of deliverable graphics. All assets (linked imagery) must be included with or embedded into your submitted artwork. 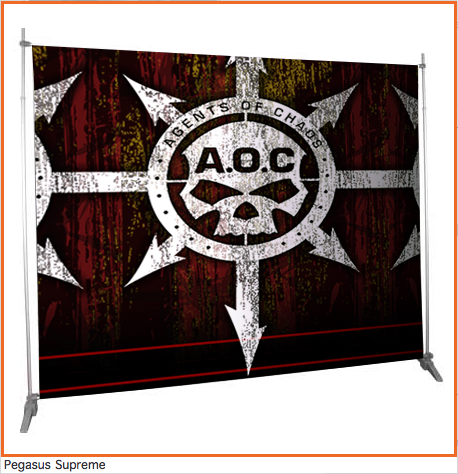 REMEMBER: your Merch Board or Scrim/Backdrop will look only as good as the artwork printed on it.